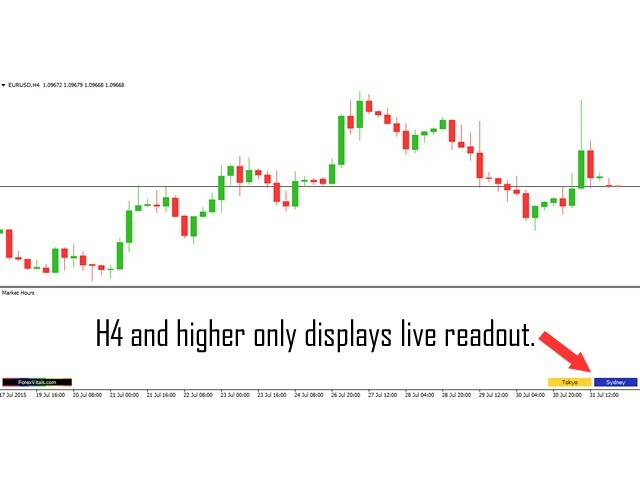 No matter which session(s) you trade or what time zone your broker is in, just attach the Market Hours indicator and get an easy to understand display of which session(s) are currently active. No set up is necessary, as the GMT Offset is automatically determined for extreme ease of use. Plus, scroll back through the chart to see which session your particular strategy performs best in, with no need to worry about what time each bar is. 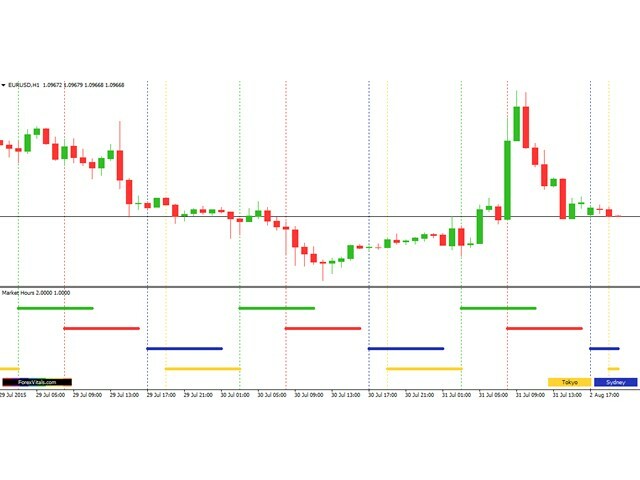 It couldn’t be any easier to visualize each session of the Forex market. Market Hours works on any timeframe. The session bars are not displayed on H4 or higher, but the live readout of the current session is still visible in the lower right hand corner. 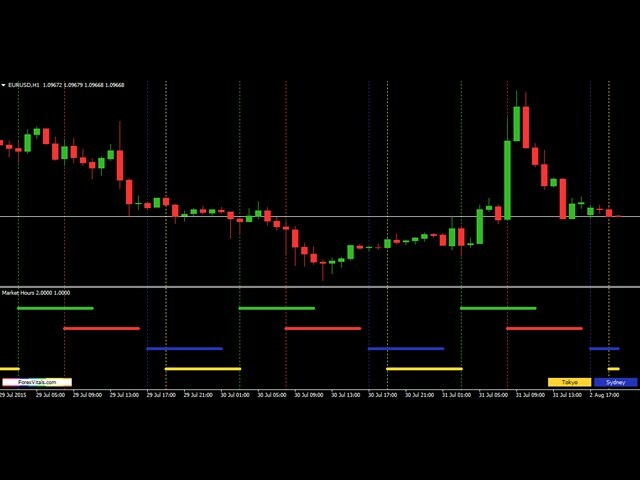 vertical_lines: enable/disable the vertical lines at the start of each market session (true/false). - Added the input parameter allowing the vertical lines to be hidden if set to 'false'. - Corrected issue that caused data to display incorrectly after MT4 was restarted. - Added a message in the Strategy Tester informing a user that it does not function in the test mode.